Obituary for Charles D. Thomas, M.D. 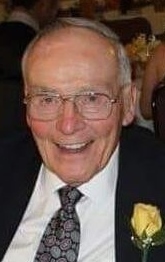 | Doherty Funeral Homes, Inc.
Charles D. Thomas, M.D., age 87, of Newark, DE passed away on Tuesday, February 5, 2019. He is survived by his wife, Marie C. Thomas; his children, Karen Thomas, Charles D. Thomas, Jr. (Ann Marie), Lo Ann Thomas, Felecia McAllister (Carl); his step children, John De Vechio (Allison) Francis De Vechio, Donna Riesenberger (Mike), Mary Beth Pala (Michael), 12 grandchildren, 3 great grandchildren and his sister, Ethel Ann Reichley (John). Born Charles D. Thomas on April 11, 1931 in Mt. Carmel, PA, the son of Milton and Anna (Frymoyer) Thomas, he was called Buck(y) while growing up. Charles graduated from Mt. Carmel High School (1949), Gettysburg College (1953), and Jefferson Medical College (1957). He held a medical internship at Altoona Hospital in PA (1957 – 1958). Charles was drafted into the United States Airforce Medical Corp (Flight Surgeon) as a Captain and was stationed in Amarillo, Texas. After military service, Charles moved to Delaware and completed his residency at the former Delaware Hospital (1961-1963). From 1963 - 1995, Charles had his own private practice in Newark, DE specializing in pediatrics. 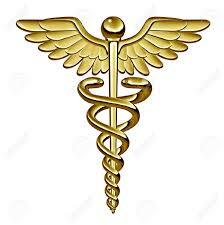 After retiring from private practice Charles worked part-time in medical clinics. During his career, Charles was a member of the Medical Society of Delaware and New Castle County, New Castle County Pediatric Society, Nur Temple (Wilmington), Delaware Consistory, Cedar Lodge #378 F&AM Masonic Lodge (Mt. Carmel, PA). His favorite lifelong membership was with the MuHollw Rod & Gun Club (Clinton Country, PA) where to many he was known as Doc. He enjoyed hunting, fishing, snowmobiling, working on cars, home improvement projects, and traveling with wife and friends whom called him Chuck. A viewing will be held on Friday, February 8 from 9-11 am in St. Philips Lutheran Church, 5320 Limestone Rd., Wilmington, DE 19808 with a funeral service to follow at 11. Burial will be in All Saints Cemetery. In lieu of flowers, the family suggests contributions to St. Philips Lutheran Church at the above address.